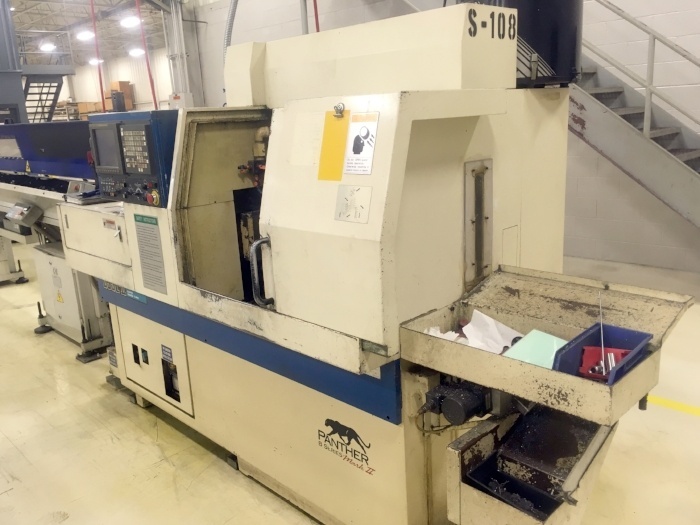 You’ve decided to buy a used CNC machine, but what is important to look for in it? As I mentioned before, getting a certified machine inspector is your best choice to make before committing to any purchased. However, it is a good idea to know what to look for, as the information can be used to ask your seller any questions you may have about the machine. Tolerance and Tightness-Always ask your seller about the machine’s tolerance. Tolerance refers to the acceptable deviation of a manufactured piece’s physical dimensions. This deviation is a normal part of the manufacturing process that occurs through external factors that can affect the CNC machine, such as humidity and temperature. It is measured in units known as thousandths of an inch, called thou, which is expressed numerically as 0.001in. For example, two thou would measure as 0.002. The closer the tolerance is to an ideal measure, the tighter it is. This is obviously important, because that too much deviation will render pieces unusable. Be as specific as numerically possible when inquiring about the tolerance. Take a look at the tolerance charts at China Saavy for more information. Machine Hours-The amount of hours a machine has logged is one of the first factors to look at when choosing a used CNC machine. However, not all hours logged have the same impact on the machine. Ask your dealer about cutting time and power-on hours. Cutting time refers to the hours that the machine spends working on materials. Cutting time will determine how much usage particular parts, such as the spindle, has been used and will give you a clue as to whether they will need to be replaced soon or not. Power-On hours refers to how long the machine has been turned on for, although it does not necessarily mean that it was being used for cutting. While this can seem trivial, power on hours can contribute to various mechanical issues and battery maintenance which can be expensive to repair. Make sure to ask your inspector if the power-on hours have impacted the machine's longevity. Vertical or Horizontal Machine Center-If you are buying a used CNC machining center, there are some additional issues to consider. To begin, machining centers are built as vertical (VMC) or horizontal (HMC). While vertical machines are less expensive, horizontal machines are generally better at production. Here are some of the factors to consider when choosing between a vertical or horizontal machine. Pricing-As mentioned, vertical machines are less expensive than horizontal machines, which makes them a better choice for small to medium sized businesses. According to Smarter Finance USA, the average cost of a VMC is $115,000, while the average cost of an HMC is $375,000. Given the difference in start-up cost, beginning shops usually stick with VMCs. However, other factors should also be considered before deciding on a VMC. Production-While VMCs are more economical than HMCs, HMCs are faster and more productive than VMCs. This is because HMCs make use of their 4th axis 85% of the time, while VMCs, only use it about 25% of the time. This means that a HMC machine can do the same job as a VMC machine, in about 1/3 of the time. If an HMC can save costs in terms of labor cost and if it can increase profitability based on its production rate, then it may be worth to consider an HMC over a VMC. However, this assumes that all other cost factors are equal, which will vary from business to business. Additional Factors-In addition to differences in production and pricing, there are other factors to consider before committing to one kind of machining center. One is your work space. On average, VMCs take up less space than HMCs. They are also heavier, so shipping needs to be taken into consideration as well. Since VMCs are more common, most operators and repairmen will have had work experience with them, making them easier to maintain. Spare tooling will also be easier to find for VMCs, than HMCs. However, many HMCs will not require spare tooling, and can save you costs on what is included already. All these factors of purchasing a used CNC machining center should be considered when doing an ROI analysis. In general, VMCs are better for smaller and medium operations, while HMCs are better for larger operations that need a higher rate of production. A reputable sales dealer will be able to you help choose the right machining center. Before buying a used CNC machine, make sure you get the professional opinion of an experienced inspector to make sure it will meet your business demands. While all used CNC machines will need additional maintenance at some point, it is crucial to ensure that it will maintain an accurate tolerance. If you decide to shop for a machining center, you will need to choose between a vertical or horizontal center, and evaluate which one better fits your business needs. The sales team at MMI can help you find the right machine and answer any questions about financing. Contact an MMI sales repersentative to ask any questions you have about choosing the right machine.